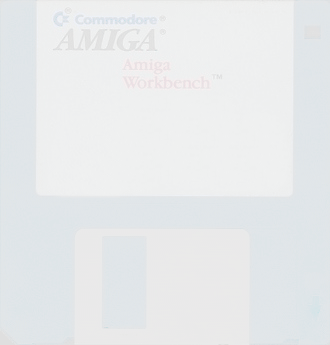 These pages are dedicated to the restoration and preservation of the interesting and valuable history of the AmigaOS, and especially its GUI known as "Workbench." Please note: If you are looking for emulation software, Amiga Forever is the award-winning Amiga preservation, emulation and support package brought to you by Cloanto, Amiga developers since 1986. All editions of Amiga Forever include everything you need to legally emulate the Amiga (ROMs, Operating Systems, games, applications, and demo scene productions) with a single-click up to Release 3.1. If you are looking for replacement Workbench disks or other Amiga hardware/software, the best places to look are: Amiga On The Lake, eBay, Vesalia, amigakit.com, ASB Computer, or AmiBay. You can also try asking on UseNet's comp.sys.amiga.misc and comp.sys.amiga.hardware newsgroups. Bear in mind that original Amiga hardware is very old, and susceptible to malfunction or failure even if it was never used. Motherboards/printed circuit boards need their capacitors replaced, and checked for any "barrel" battery leaks which often causes damage. If you're interested in Workbench disk preservation, MrDolby's The Amiga Workbench Project is well worth a visit! Disk by disk, he is verifying original, unmodified disks and ensuring their preservation. I want to express my appreciation to everyone who has contributed to this page. If you have anything to contribute, please do! I welcome screenshots, recollections of beta Workbenches, hidden messages, undocumented features, oddities, etc. Should you need a screen grabber, try ScreenSave.lha for Workbench 1.0 through 1.3, and GrabIFF.lha for Workbench 2.04 and later.